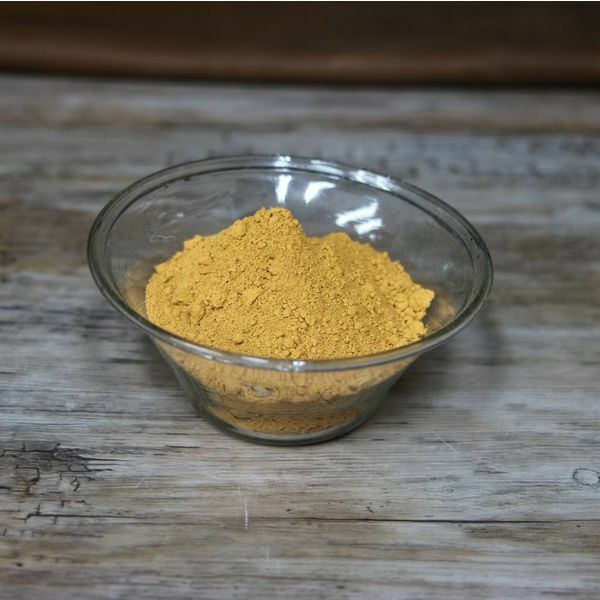 This yellow ochre is ground according to historical traditional methods. 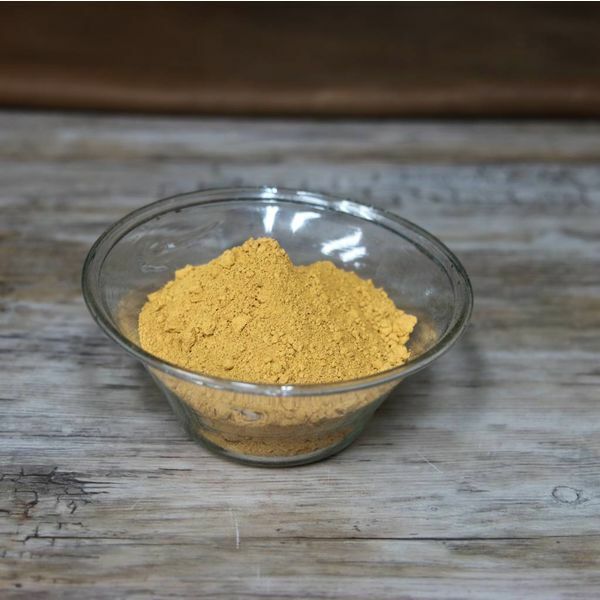 The color code stands for yellow, dark, sedimented, top quality. 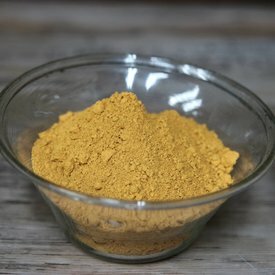 This ochre can be used both for tempera and for oil paint. 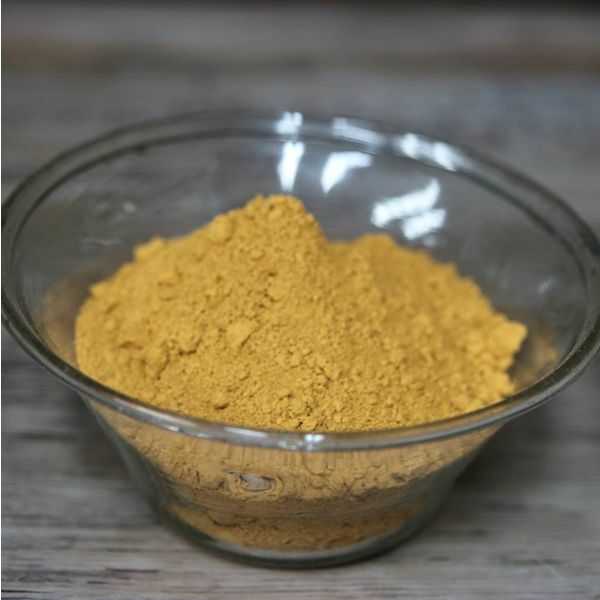 It is also suitable for traditional dyeing of fabrics. This yellow ocher was (and is) won in the regions of France and Italy.